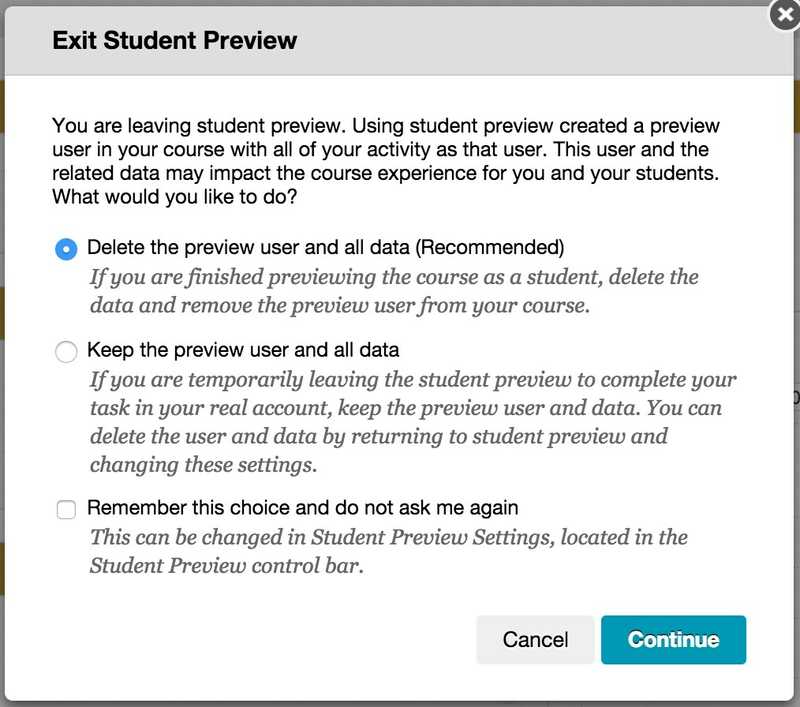 Student Preview was made available in the April 2014 release of Blackboard Learn. It is up to your institution to enable Student Preview. Click here for instructors on how to find which version of Blackboard Learn you are using. The official Student Preview allows instructors to view a course exactly as student would without having to login to a separate student account. Edit Mode is still available, but to see a true student view simply click the student preview icon ( ) located in the same row as the Edit Mode button. To enable student preview mode click the student preview icon ( ) located in the top right next to the course theme icon. When student preview is enabled the following yellow bar will appear at the top of the page. Student preview will remain enabled until you exit preview mode. To exit student preview mode click the “Exit Preview” button located in the top right of the screen. When exiting preview mode you will be prompted to delete your preview user and data or to save your preview user and data. You will also be given the option to remember your selection for future uses. If you chose to have Blackboard remember your settings you can change them at any time by clicking the “Settings” button located in the top right corner of the screen. 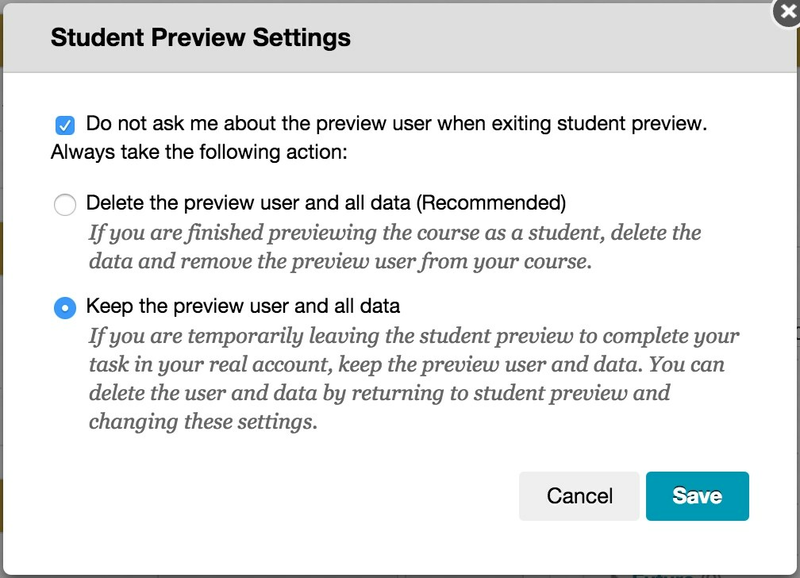 When a student preview user is available with saved data the middle dot of the preview icon will turn green ( ), indicating the preview user account is available for use.